After so many rumors and leaks about the Android-based smartphone by Nokia which was initially codenamed "Normandy" since late last year, Nokia has finally announced and confirmed it. The Finnish compnay, at the Mobile World Congress in Barcelona today, announced not just one but three Nokia smartphones running Google's Android operating system and these are the Nokia X, Nokia X+ and the Nokia XL. So that means that "X" is the new line of smartphones from the company and they even said that these are the only first of many. Let's just hope that once Microsoft has fully acquired Nokia's mobile division, it won't kill these Nokia X project. At first everyone was only looking forward to see a single Nokia Android device to be unveiled as the rumors were suggesting that the company was creating "AN" Android-powered device, but everyone was also surprised when Nokia unveiled three Nokia Xs. 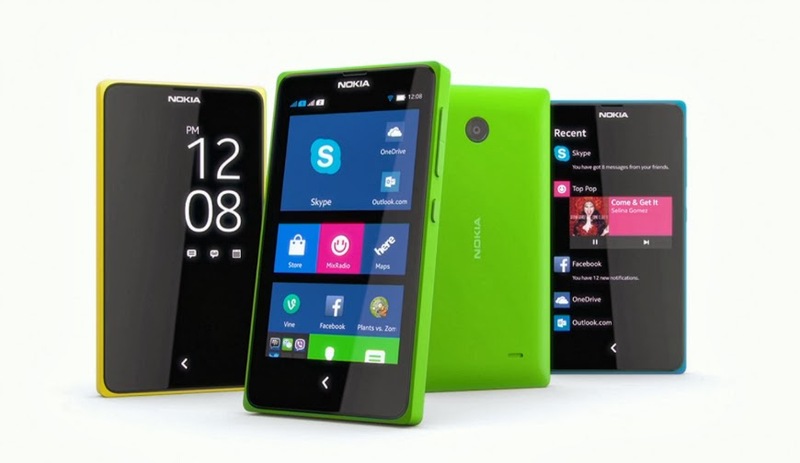 But as what have been expected, the Nokia X is an entry level smartphone, the X+ and XL are just small upgraded versions. However, even though these handsets are now official and gone Android, there are a few things that we need to know before imagining ourselves using one of the devices as a normal Android phone. Let us take note that the Nokia X and Nokia X+ technical specifications are very identical to each other except that the X+ offer more storage and more RAM, which would be the default 4GB internal storage plus a 4GB memory card and RAM to be at 728MB versus 512MB on the X as per reports. The display is measured 4 inches with resolution of 800x480. Cameras are at 3MP Fixed-focus back camera with no flash, under the hood is a 1GHz Dual-core Snapdragon S4 processor. Both devices support microSD card for additional storage up to 32GB. 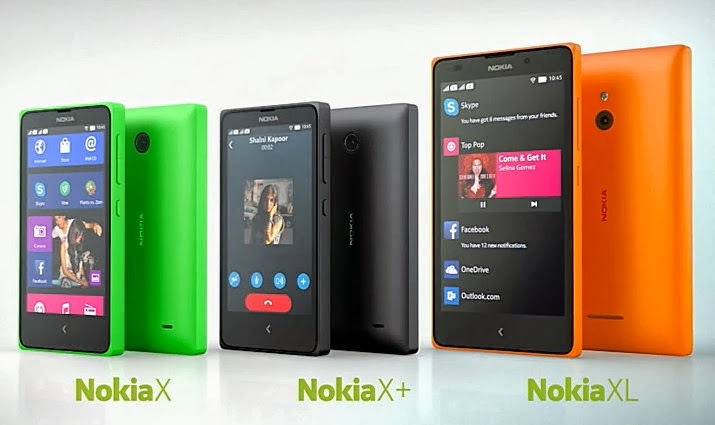 Nokia promises these X and X+ can last up to 10 hours of talktime over 3G network with its 1,500mAh battery. You may have already noticed that the specs are too far below to compete with Samsung Galaxy smartphones or Apple iPhones which is also not the goal of Nokia. These Android phones are launched to target emerging markets, also Nokia said these three phones will be available immediately in Eastern Europe, Asia, South America, and few other global locations. However it won't be making its way to North America, Japan, Korea and Western European countries and I do not know why and what are their basis. The Nokia XL is a bit high end than the first two sporting a 5-inch WVGA display, 5MP Auto-focus rear camera with LED flash and a 2MP front facing snapper, 1GHz Dual-core Snapdragon processor, 728MB RAM and 4GB microSD card. All these three smartphones have the single " < " button which serves as the normal back button by simply pressing once and a home button when you press and hold it. And of course the Nokia XL has a much bigger 2,000mAh battery underneath it. All these three Nokia Xs' operating system are built-on Google's open source Android platform which forked by the Lumia manufacturer for these new handsets and that is one of the reasons why the interface is not the same as we see in the usual Amdroid smartphones. It's like an Android-Windows Phone OS mix as the icons on the devices are similar to the ones we see in Lumia smartphones and that is one thing to take note of. Another thing we need to know is that the X, X+ and XL, even though they are based on Android OS, they do not have access to the Google Play Store and other Google-specific products like Gmail, Chrome, Maps and others. But, similar to what Amazon did to their Kindle Fire tablets, Nokia is going to have a Nokia Store where they gather "hundreds of thousands" of Android apps for the devices plus they also added that users can sideload apps to the handsets. 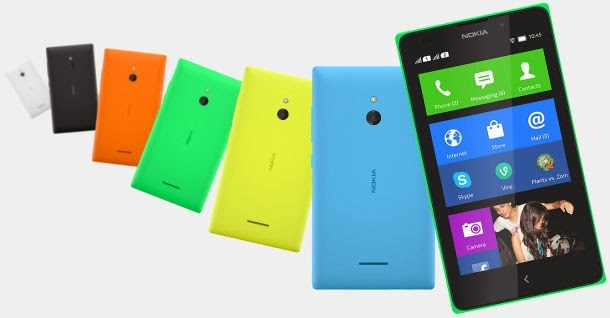 If you ask of the pricing, the Nokia X will ask you for 89 Euros, Nokia X+ for 99 Euros and the Nokia XL for 109 Euros. As of writing, 1 Euro is equals to Php61.00 so you can do the math. Specifications Nokia XL, Android Phone 5-inch Screen Nokia XL, an Android-based smartphone from Nokia that has a KitKat large 5-inch screen.